Here is a short guide or introduction to the hedge fund industry in Brazil. Brazil's economy has been growing at a healthy pace over the past couple of years and in my opinion is the most underestimated out of the all of the BRIC countries. 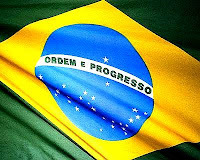 The hedge fund industry itself in Brazil is currently small but growing as the region as a whole becomes more wealthy. On a side note I go to Brazil every 9-10 months for business, please let me know if you are in the hedge fund industry and live in Brazil and would like to attend a networking event or meet for lunch. Richard@hedgefundgroup.org.